Urbane as in ‘of the city‘ as well as ‘polite and courteous‘. 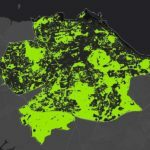 Over 80% of the UK population live in towns. Although it’s unlikely that beekeepers are evenly distributed between urban and rural areas, it still means that most beekeepers (or wannabe beekeepers) probably live in towns. With the increase in the popularity of beekeeping over the last few years this inevitably means that more bees are being kept in towns than ever before. Cities have higher ambient temperatures 1 which effectively extends the season, starting earlier and finishing later in the year. 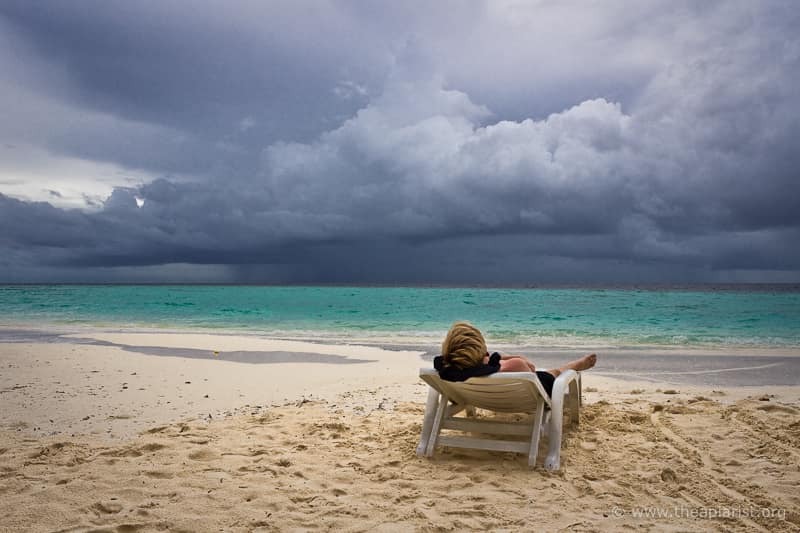 These higher temperatures also provide more protection from extended cold periods during the winter. 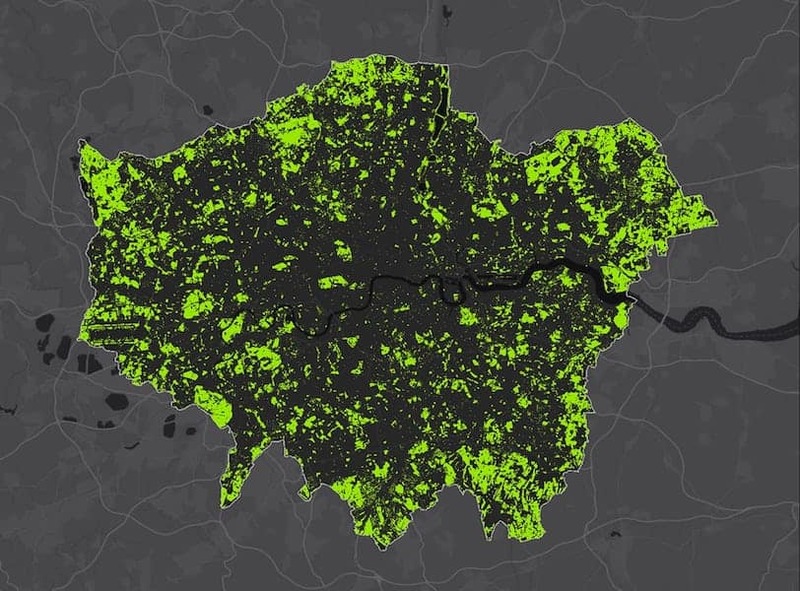 Despite the depressingly obvious acres of grey concrete, cities can be remarkably ‘green’, with large parks and gardens in even some of the most densely populated areas. 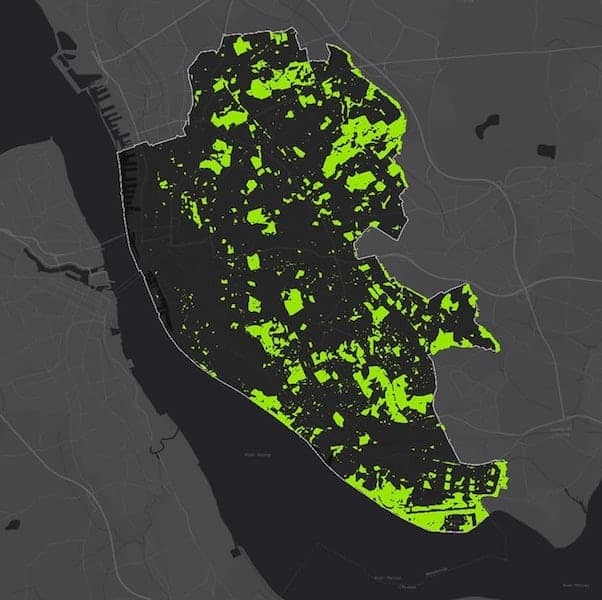 Satellite mapping analysis shows that cities like Liverpool, London and Edinburgh have 16 – 49% ‘green space’. Many towns and cities have large numbers of well established trees, including lime and sycamore, both of which can give great honey. In addition, there are thousands of suburban gardens with a wide range of ornamental flowering plants. As a consequence, city bees have access to a range of nectars throughout the season, helping create some strikingly good honey. There are entire businesses built around supplying honey from bees in the city – or cities – including the London Honey Company, Bermondsey Street Bees and the Sheffield Honey Company. However, a quick look at the honey sold by ‘city’ honey companies shows that only some of it originates from, er, cities. They also sell Suffolk coastal honey, heather honey, borage honey etc. Of course, this probably – and rightly – reflects demand. There’s a wonderful range of different honey produced in the UK, so why not sell it alongside honey from the city? Except there isn’t any honey from the city available at the moment. All gone. Neither of the two London-based companies listed above have any London honey for sale 2. Demand clearly outstrips supply. And this is probably because supply is limited. Cities are surprisingly green, but many of the ornamental flowers favoured by gardeners are poor nectar producers and the trees are often planes, which produce no nectar for bees. With the increase in interest in beekeeping it’s been suggested that there are too many bees in cities 3. I don’t think the data to support this conclusion is good enough (yet). Hive numbers are certainly up significantly, but perhaps not as high as some think. Whether they’re at saturation level for the forage available will require analysis over several years, taking account of the actual honey yields, the weather and accurate information on colony density. It’s interesting to note that Fera’s Beebase report the apiary density around my local apiary in rural Fife is 1/25th that of Central London (29 vs. 710 within a 10km radius). These figures aren’t reliable or even accurate … each apiary may have very different numbers of hives and significant numbers of beekeepers (perhaps as many as 50%) aren’t even registered on Beebase. Nevertheless, it probably gives a general indication of the relative density of hives. There are more important issues than potentially poor honey yields with urban bees. Bees aren’t domesticated 4 and they can’t really be controlled. They forage where nectar and pollen is available, they drink water when they need it, they swarm when the colony is doing well and – there’s no real way to be delicate about this – they crap wherever they want. They can also get tetchy when forage becomes limiting, during stormy weather or when poorly handled. All of which means that your bees might cause problems for your neighbours. They’ll forage freely in their gardens, drink water from the bird bath or jacuzzi 5, swarm en masse and hang pendulously from the climbing frame, and they’ll defecate repeatedly on the neighbours recently waxed and polished BMW. These are not insignificant issues and they shouldn’t be ignored. 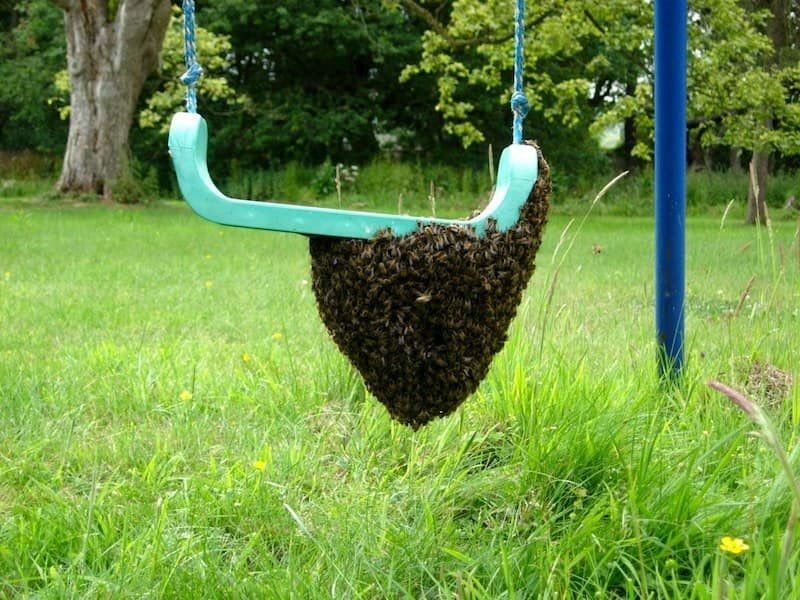 If you’ve got bees, whatever the evidence (or lack of it), it will be your bees that sting your neighbours grandchild, poop on their Beemer and swarm onto the garden swing. 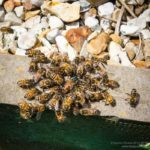 I’ve kept bees in an urban garden and, while I can’t really advise on how you establish and maintain good relations with your neighbours 6, I can provide some beekeeping hints to make their life – and yours – a bit easier. Make sure you have access to an out apiary over three miles away. Perhaps the training apiary for your association, or a friend with a large rural garden. Arrange this in advance, not when an angry neighbour is remonstrating with you about his toddler and anaphylaxis. Seriously. Some problems are only solved by moving bees away and you might need to do this in a hurry. Always clip your queens. Although clipping the wing of a queen does not stop swarming, it does stop the swarm flying off. They’ll usually end up on the hive stand or underneath the floor. Learn, and get good at, swarm prevention and control. 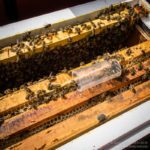 Provide space for the colony before it’s needed, replace queens regularly, control colony expansion by taking off a nuc, conduct timely splits to control swarming and reunite to requeen. If you don’t yet know what these things are then there’s quite a bit to learn. Are you ready to keep bees in your town garden? Keep well-tempered bees and keep them well-tempered (see 8). Aggressive bees are unpleasant at the best of times. They make beekeeping a chore if you’re in the corner of a remote field. In town they’re an abomination. Requeen or move them immediately with any repeated tendency to show signs of bad behaviour. Engineer the flight lines to force bees up and away. If you situate the hive(s) in a corner facing into a fence or wall the foragers will be forced to fly up and over the obstacle, ideally well over head height. I’ve seen this done very successfully using an open-topped netting cage. My bee shed is surrounded by security fencing with 2″x6″ mesh … >95% of the foragers choose to fly over this rather than through the mesh 8. Learn to inspect your colonies well. This is perhaps the most difficult thing to achieve for a beginner. The idea is that you conduct a thorough inspection while causing the minimum disruption to the colony. ‘Thorough‘ so you’re confident about what’s happening in the colony (and so don’t need to do it too frequently). The ‘minimum disruption‘ is important so you don’t leave agitated bees flying around for ages afterwards. This is a skill and is generally only learned with lots of experience – minimal smoke, gentle handling of the frames, proper examination of each frame, no crushed bees (so no alarm pheromone) … with all this being achieved quickly. Good Varroa management. 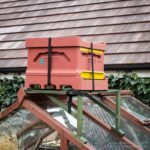 Controlling Varroa means your colonies are likely to stay strong, so they are less likely to be robbed out by the dozens of other colonies in the area. This is both responsible beekeeping and stops the sort of frenzied mobbing of bees around the hive that are likely to really worry the neighbours. As I’ve said before, the principles of beekeeping are really rather simple. It’s practice – lots of it – that is needed to acquire the necessary skills to keep bees well. I’d argue that good beekeeping is particularly important in towns because your mistakes, or the intransigence of the bees, don’t just cause you a problem. They potentially cause problems – or at least concerns – for your neighbours. That’s neither fair or responsible. Some of the best beekeepers I know keep quite large numbers of colonies in surprisingly small suburban gardens. Do not underestimate the skill needed to achieve this. All of them have somehow arrived at a method of beekeeping that addresses all of the points above. But I’ve also been asked to urgently requeen double brood colonies in tiny town gardens that were so aggressive they needed a double beesuit over a fleece for protection, where the garden was off-limits and where inspections had been completely abandoned. I hate to think of the problems this caused their neighbours … or the additional bad publicity for beekeeping in general. Urbane means (of a person, especially a man) courteous and refined in manner. It’s derived from Middle French urbain which meant both polite, courteous, elegant and belonging to a city. This in turn is derived from Classical Latin urbanus meaning much the same. For an article about bees in towns the word seemed remarkably appropriate, referencing both cities and the need for courteous and refined behaviour. About the only thing wrong with the current use of the word is that it is usually applied to males. At the time of writing … mid-January 2018. 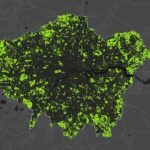 Which means London as that’s where the data largely comes from … though some dispute the data. Actually, this is perhaps debatable if you’re interested in semantics … but I’ll save that for another post. 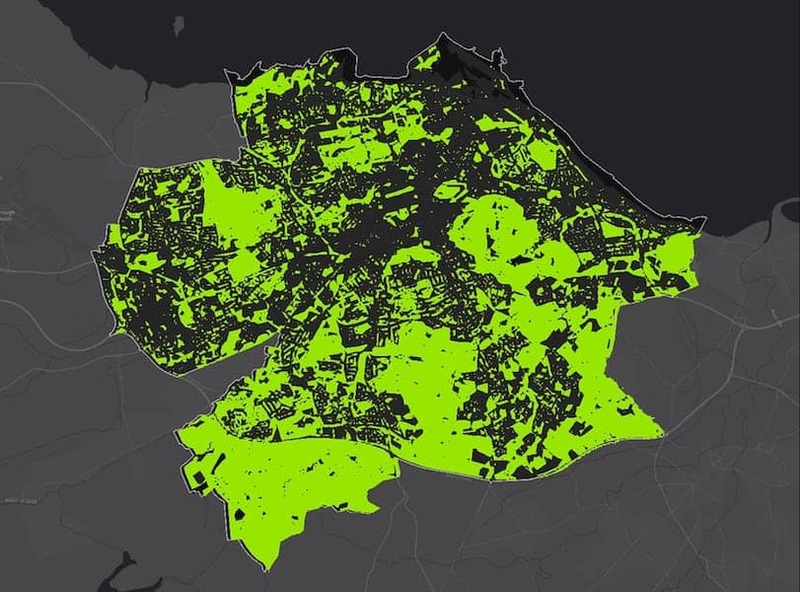 I don’t know what your neighbourhood is like … I could have expanded the list to include abandoned car tyres, swimming pools or Capability Brown-designed ornamental lakes. Hint … a few jars of honey at Christmas is always a winner. A hypothetical social currency for doing a good deed. Although widely regarded as originating from the ‘points’ Brownies (junior Girl Guides) needed for badges, there are equally compelling alternative etymological explanations. You can stand a metre of so away from, and in line with, the entrances to half a dozen colonies with hundreds of foragers a minute flying over your head, whilst remaining completely untroubled by them. This entry was posted in Responsibility on February 9, 2018 by David. Good article. I would add that it is worth telling the neighbours before getting the bees and keeping them on your side with the occasional jar of honey. Demand is there for city honey as it’s local to where lots of people live and many prefer local honey. Still got some left, but don’t tell everyone! One thing I did forget was to check that the local byelaws (and possibly property deeds) allows ‘livestock’ to be kept on the site. Quite how ‘livestock’ is defined would then also need to be checked. I’ve lived in places where I couldn’t keep chickens due to local council byelaws, but there was no restriction on bees. “Many prefer local honey” … if only! The UK produces 6,000 tonnes and imports 40,000. Most people prefer cheap imported honey blended from EU and non-EU countries (i.e. anywhere). However, good to know that there is strong local demand for your city honey. I think an out-apiary is definitely the best place to start. Inspections take longer and are more frequent when you’re learning – you forget things, worry or are simply so enthusiastic you check more than is needed. Having to also worry about the kids next door playing in the garden when you’re searching for a shy queen is something you can do without. This is very timely for me as I am hoping to keep my bees in a garden for the first time. I will take inspecting them seriously but am nervous about them unexpectedly turning nasty. Not just because it would bother me but for my toddlers and neighbours safety. I have never had a really aggressive colony – only slightly moody ones. How common is it for bees to become overly aggressive in your experience? ‘Unexpectedly’ is a tricky one. Every year some of my colonies can become a bit tetchy when the OSR finishes. Any dominant nectar flow that stops can have a similar effect. 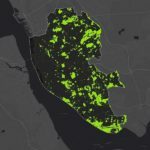 However I’d think that colonies in towns would not have access to a similar dominant flow, so this might not be an issue. Then there’s poor weather – typically thundery – but that’s usually only an problem if you have to go into a hive (so should be avoidable … though I have inspected colonies in a thunderstorm without any aggression by the bees). Finally, there’s genetics. Of course, some bees are just plain nasty. These can be avoided by sourcing them from someone experienced and with a good track record of rearing good-tempered local bees. Just sometimes a nuc can become nasty as it expands up into a full colony. I don’t think that can be predicted, but it’s pretty rare in my experience. I suppose that only leaves the unexpected change in colony temper when a queen is naturally replaced. This can be bit of a lottery and depends upon the bees that are kept around you. You just have to be vigilant. In the last decade I’ve probably only had one colony of my own that unexpectedly became really unpleasant to the point where I’d dread having to go into the colony. It was on a double brood and probably became queenless. I’ve had lots with what I considered unacceptable temper-related traits (following for example, which I think is awful … and definitely to be avoided in a built up area) all of which were solved by re-queening. You pretty much summed up my beekeeping stresses and strains but its the misses I have to watch for not so much the neighbours. Poop on and “in” the car, on windows are major bones of contention. Seeing whats going on at bait hive is one of the best things about bees – even with an out apiary its good fun to set one up. “In” the car? Is that the Bentley or the Lambo? I always thought the former was overkill for getting to the out apiary, and that the latter was little use for anything other than moving mini-nucs between apiaries (at 175mph). I’m not sure how the poop ends up ‘in’ the car but perhaps consider an upturned Correx roof to protect the premium nappa leather upholstery. Have you thought of using the classic enquiry “How do you know it was one of my bees?” to try and deflect the criticism? Doesn’t always work, particularly if it’s the inside of the car that’s been targeted. Bait hives are great … I’ve only seen swarms arriving a couple of times (they always choose a weekday … when the weather is good and I’m, inevitably, at work) but I’ve had loads of fun watching the scout numbers build up. One thing that’s striking is how early the scouts arrive. It seems much earlier than there are bees foraging. To do with the heather move or OSR supers – bees always escape cause I’ve dislodged the floor, or the foam block or not cleared the supers properly. Do not pass Go. Do not collect £200.